A lack of healthy intestinal bacteria (or flora) has been implicated in a variety of diseases. These include classic diseases of the bowel such as Crohn’s disease and colitis. Although probiotics – that is, “good” intestinal bacteria – are generally associated with intestinal health, other body systems can also benefit from probiotic supplementation. People who supplement with probiotics have obtained considerable relief from a variety of conditions. Probiotics are bacteria. Your intestine has bacteria that could, if they multiply too quickly, cause illness. It also has good bacteria that work on your behalf, destroying pathogens (the bacterial bad guys). These beneficial bacteria also manufacture some vitamins, particularly the vital B-complex vitamins. 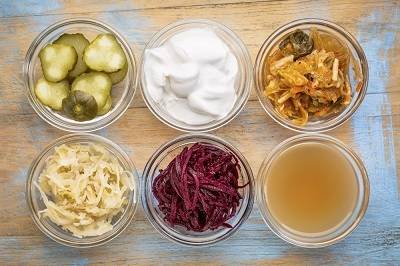 Probiotics are found naturally in foods like sauerkraut, yogurt, and miso (soy bean paste). Human breastmilk is full of probiotics, too, and has actually been used as a treatment for stomach ulcers in adults. Generally, probiotics are divided into two main groups: Lactobacillus and Bifidobacterium. Lactobacillus acidophilus is probably one of the better-known probiotics in the former group. Also included in this group are L. rhamnosus, L. bulgaricus, L. salivarius and others. The Bifidobacterium group includes Bifidobacteria bifidum, B. infantis, and B. longum. What Makes Probiotics So Good for You? 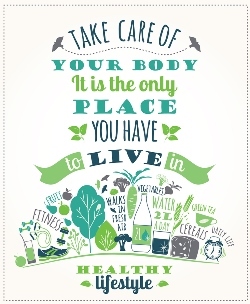 Probiotics are excellent for digestive problems of all sorts. As noted above, there are benefits to taking probiotics besides just digestive help. This is because an imbalance in bacteria – too many bad guys and not enough good ones – can cause all sorts of illnesses. Here are some of the health benefits of probiotics. The Immune System – At least half of your immune response takes place in your intestines, or gut. Probiotics help your intestines to do this job. Allergies, the product of a skewed immune response, can be improved with probiotic supplementation. Oral health – Bacterial imbalances in the mouth can cause tooth decay, plaque build-up, and gum inflammation. Probiotics are becoming part of oral care as studies show their positive effects on mouth health. Candida – One of probiotics’ specialties is the consumption of yeast cells. And overgrowth of these yeast cells can cause localized yeast infections or a whole-body condition known as candidiasis. The symptoms of candida infection are so varied and numerous that yeast is considered a culprit in a wide range of disorders. The good news is that probiotics are not only effective, they are very safe to take, so if candida turns out not to be the culprit, there’s no problem. Intestinal disorders – Even severe intestinal problems can benefit from supplementation by probiotics. Probiotics help ease the inflammation caused by such disorders as well as help restore bacterial balance in the gut. A balanced gut is a healthy, normally functioning one. Sign up for the Exceptional Aging newsletter & receive four FREE aging better eBooks from Leila. You must not rely on the information on Exceptional Aging.com as an alternative to medical advice from your doctor or other professional healthcare providers. If you have any specific questions about any medical matter you should consult your doctor or other professional healthcare provider. If you think you may be suffering from any medical condition you should seek immediate medical attention. You should never delay seeking medical advice, disregard medical advice, or discontinue medical treatment because of information on Exceptional Aging.com. Designed by Making Art Web Design.